Nepal Tours | Experts in Nepal Tour, Family Treks & Luxury Travel. Wherever you choose to explore, however you choose to travel, Nepal Tours believe it’s the people you’re with that make all the difference to your precious time away. We’ve specialised in providing escorted tours in Nepal for over 15 years, and we still love to share our passion with like-minded people. From fascinating history to awe-inspiring natural wonders and the chance to learn something new, shared experiences in good company are something you’ll never forget. All of our award-winning tour itineraries have been carefully crafted so you can take in a destination’s most iconic sights, its famous traditions, culture, nature & wildlife, while still discovering its hidden treasures. Nepal Tours love to share the journey of discovery, exploring new lands and experiences with you. With our collection of Nepal tour packages you can go to the best tourist spots in Nepal for scenic beauty and local culture and traditions tours. 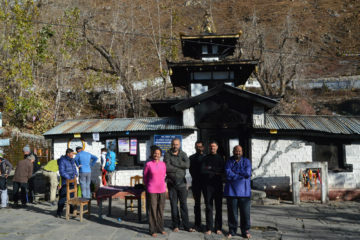 Nepal Tours tailors itineraries to fulfill your travel plan and dream tours. From standard tour itinerary, you can also add extra activities. Let us craft and design best Nepal tour and travel package that meets your schedule, budget and particular interests. Many people have spent a lifetime exploring the mountain trails of the Himalayas and the World Heritage temples and towns of the Middle Hills, and they keep coming back for more. 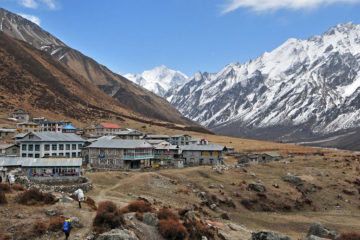 While Nepal is paradise for mountain lovers, it’s also a place one can enjoy and relaxed with your own pace from wildlife tours in Nepal to adventure tours, you can delight in spiritual centers. Nepal Tours is a specialist small group tour company providing top quality luxury holidays, short treks, pilgrimage tours, family holidays to the Nepal. 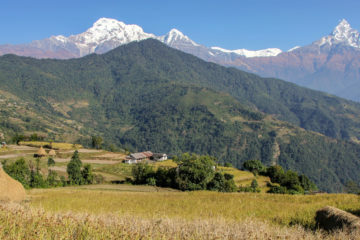 We offer an exclusive and extensive range of escorted luxury tours, city packages, private guide cultural tours, honeymoon tours, 4wd adventures drive tours across Nepal, all at great prices. Explore all of Nepal Tour Packages.! Nepal is the perfect adventure holidays destination of the world. To speak to our customer service team, call +977 98510 36473 Sunday through Saturday 8 am to 10 pm. We are local tour operator in Nepal. Programs are 100% customizable & within your budget. 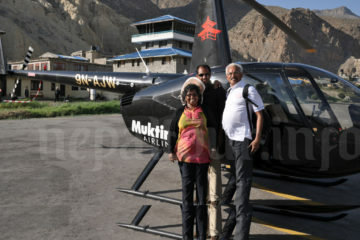 From the hotel pick up to the entire Annapurna Base Camp Helichopter flight everything was great. I highly recommend this once in a lifetime experience. Nepal was beautiful, fascinating and culturally rich and exciting – much more than ever imagined. The day mountain bike tour was challenging though the bicycles provided were excellent, the off-road section was a thrill for us. Our Guides and Drivers were extremely well-organised friendly, professional, dedicated and always available.